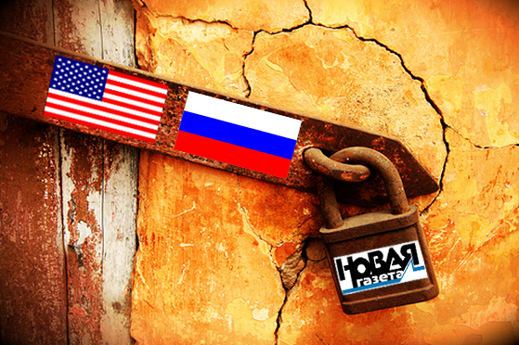 WIKILOCKS – IS NOVAYA GAZETA PAYING TO PUBLISH WIKILEAKS, OR IS IT BEING PAID NOT TO PUBLISH? At least two things are obvious about the Wikileaks disclosures on Russia – one is that a great many cables from the US Embassy Moscow are available in the quarter of a million files obtained by the Guardian newspaper of London; the second is that very few of these have been released so far, none of them of significance. Two additional things are less obvious, but more significant. From the admissions made by Julian Assange and from Novaya Gazeta, the Russian publication with whom, three months ago, he made a publication deal for the US documents in his possession, money was apparently paid for the rights by Novaya Gazeta. Since Novaya Gazeta has published very little since then, was the money paid to open up the Wikileaks archive on Russia, or was it paid to lock it up? Questions about the financial arrangement with Assange have been referred by Muratov’s anonymous spokesman to the magazine’s lawyer. His name is Yaroslav Kozheurov. Alexander Lebedev – called the “anti-oligarch” by the French magazine, LÉxpress — campaigned publicly this month in Russia’s regional elections, and on March 15 he won a seat in the Kirov district legislature. When Lebedev wants to make accusations, he is voluble. When asked to clarify the terms of Novaya Gazeta’s publication agreement for Wikileaks, he refuses to answer. Novaya Gazeta announced on December 22 that it had become an “official partner of Wikileaks”. In its publication that day, the magazine reported: “Assange said that in the near future, Russian citizens will learn a lot about their country. He’s not bluffing. Despatches of U.S. diplomats [comprise] a small portion of the WikiLeaks dossier. Our cooperation will mainly be aimed at exposing the corruption of the highest political strata. Now, none of them is protected from the truth”. What followed was first reported here a month ago. So far this year, Novaya Gazeta has published just twice from the Wikileaks archive – on January 12 when the subject was the presidential succession of 2008; and on January 18, when the subject was Deputy Prime Minister Igor Sechin’s oil asset strategy. Here is a link to search for anything else remotely sourced from Wikileaks which the magazine has published. Assange himself has been reported as claiming personal property rights, including financial rights, in the Wikileaks archive, and he has intimated that he requires payment for access to the files. In January, Vanity Fair published an investigation suggesting that Assange was trading files for money last November, well before he was the target of Swedish prosecution and UK extradition proceedings. Sources following the Wikileaks archive claim that there may now be as many as 20 or more copies of the archive in circulation, and that Assange himself has lost control of the releases.